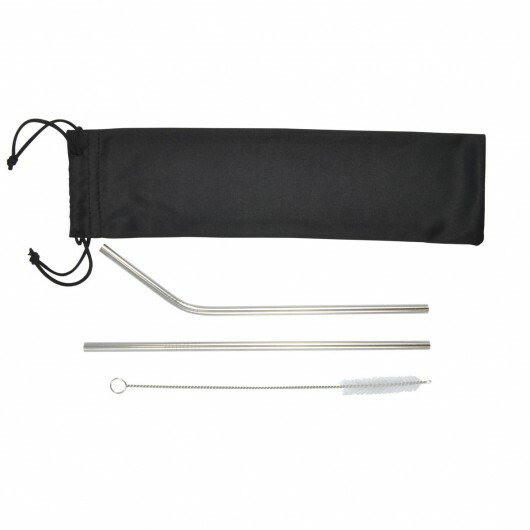 These stainless steel straw sets are an effective promotional gift and Eco friendly. These sets of stainless steel drinking straws include 1x bent and 1x straight straw with a cleaning brush inside a black drawstring pouch. They can be used for either hot or cold drinks and are dishwasher safe (recommended cleaning with brush provided). 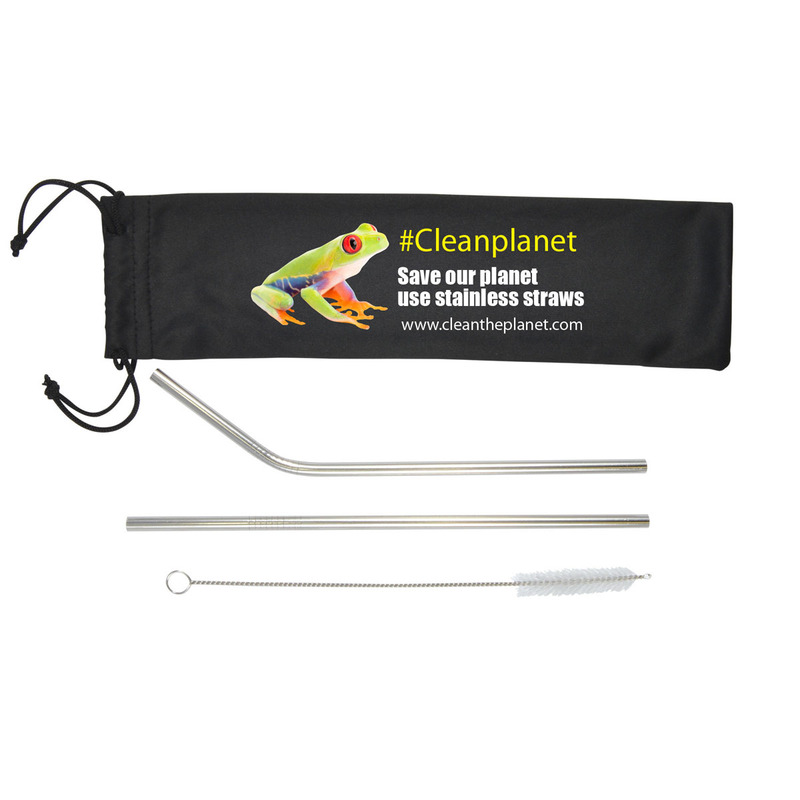 They're an environmentally friendly alternative that substitutes single use plastic straws and will allow your logo to be frequently be seen. Pricing is shown for decoration on the bag - laser engraving on straw also available (price on request).